Water quality issues have raised public awareness about the quality, safety and potential liability involving lead in a buildings piping system. Concerned? You ought to be. Properties built before 1986 likely have plumbing systems that include “lead contributors” such as lead piping, copper pipes with lead solder and brass fixtures. These “contributors” can potentially cause lead to leach into the drinking water in those homes at levels that exceed current EPA guidelines. A seller or lessor could potentially have an obligation to disclose lead or copper in the dwelling’s water supply. Failure to do so could leave them potentially liable for rescission and damages. Click here to read about potential liability. Realtors, sellers and landlords are getting on board with LeadSmart. 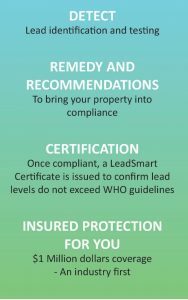 The LeadSmart program includes onsite water testing services for lead, a remediation action plan and the issuance of a Certificate of Compliance. This assures sellers and buyers that the property is in compliance with EPA guidelines for lead leaching. Lead disclosure in pipes and in water in a real estate transaction may not be mandatory (yet). 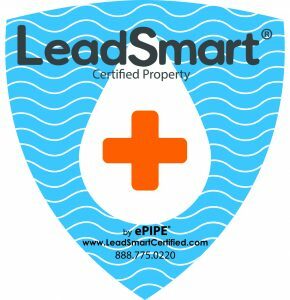 Many homeowners, commercial building owners and realtors now realize that it is only a matter of time, and are being proactive in having their water tested and properties LeadSmart certified. Southern California homeowner, Joel Cooper understood the dangers of potential lead exposure from drinking water and the possible risks from non-disclosure of hazardous materials in real estate transactions. He was proactive in having his home LeadSmart Certiﬁed before listing it. Orange County, California realtor Maria Inez Fraser and her seller recognized the benefits of the LeadSmart program. 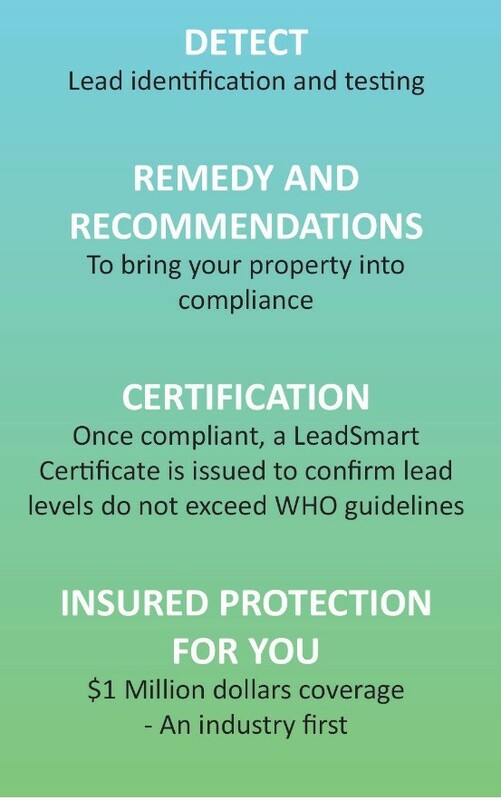 They also had their property LeadSmart certified.